Many foodies make a pilgrimage to this Beach Road hawker centre to slurp up sup tulang — mutton bones cooked in spicy tomato sauce. Anthony Bourdain gave it a go when he visited Singapore, but the other offerings are equally good. 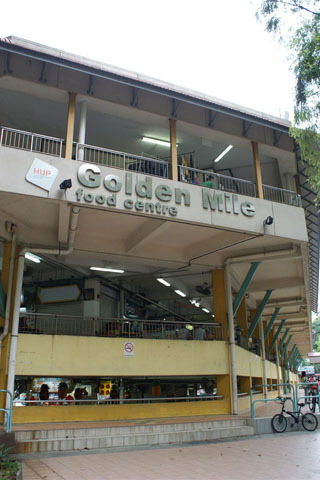 Try the char kway teow (fried noodles), fish head curry, roti prata (flatbread with curry), and pretty authentic Thai food that's spread over from the Golden Mile Complex across the street. In an odd combination, shops on the upper floors sell army gear and camping equipment.